Here at OnlineMobileSlots.net our goals are simple. We want to help the discerning gamblers of Canada find and enjoy their own ultimate online and mobile casino playing experiences, and we’ll do whatever we can to make that happen. That’s why we list all the best sites for you, review the most popular banking options and give basic guidelines on Baccarat casino games for you in a single convenient website – right here! Bearing this in mind, we knew we owed you a write-up on Baccarat, a noble card game that was first played among Italian and then French aristocrats. Today it’s no less sophisticated, but it’s open to players all over the world. 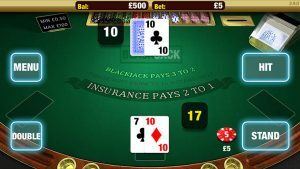 There are 3 versions of the game usually seen in online and mobile casinos in Canada, with the most common being Punto Banco. If you need to get familiar with the game, Punto Banco is a great place to start because it’s also the simplest version. After you’ve gotten to know the way it works, you’ll be ready to give the others a try and to start developing your own playing style. Punto Banco translates as Player Banker, and these are the 2 hands that are dealt at the beginning of each round. Both hands contain 2 cards, with the Face cards all being worth 0, the Ace cards being worth 1 and the Number cards carrying their face value. The 2 cards of the hand are added together and the 10 value is disregarded. So, for example, a hand with a 10 and a Jack is worth 1 and not 11. A hand with a total of 8 or 9 is a Natural and automatically wins the round. A Player hand of 7 or 6 will stand, and if the Player hand is lower another card must be dealt. There are also rules determining when a Dealer hand is given another card, but these are a little more complicated and involve several factors including whether the Player hand has been dealt another card and what the value of that card is. Luckily you don’t need to remember any of the stipulations – it’s always the Dealer’s responsibility, and the Baccarat casino sites we showcase at OnlineMobileSlots.net are set up to recognise when another card is necessary and deal it automatically. You can bet on the Punto hand or Banco hand being higher and taking the round, or on there being a tie. Winning hand bets carry 1:1 payouts, less 5% commission in the case of a higher Banco hand. A winning bet on a tie is the jackpot for any player, and has a massive 8:1 payout with a 14.1 house edge. The risk is high, but then so are the rewards! You don’t need to focus on when extra cards need to be dealt, but you do need to think about the bets you’re placing. You’ll need to place your wagers before you see your cards, which adds a thrilling element of chance to the game. There are great online guidelines and forums to help you refine your strategy, and you’ll discover more and more of them as you keep playing at Baccarat casino sites. Check them out and apply what you learn in the free play mode that most of the Canadian sites we’ve brought together allow. When you’ve built up your confidence, you can play with real money and win big. The sooner you start, the sooner you’ll get there, so give the game a try today!